Hickory is considered to be the hardest North American Species. Also known as Pecan, its heartwood is tan to reddish brown. Its sapwood is white or creamy white with fine brown tones. In addition to being striking, hickory has very unique characteristics and defined grain which give it its attractiveness. 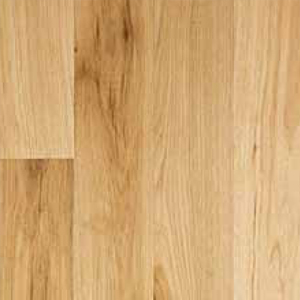 Hickory is very hard, stiff, dense and shock resistant. Hickory is a very popular species choice for hardwood as it has very rich color variations and distinguished brown lines. 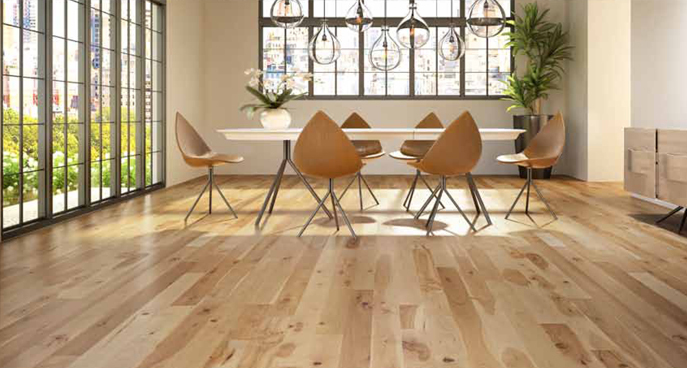 Hickory is a durable, tough hardwood that can be used to achieve various looks. 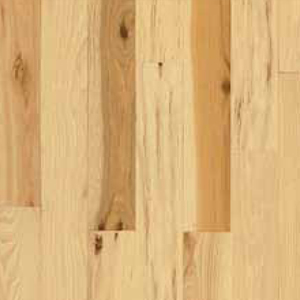 Grain: Hickory is closed, with moderate deﬁnition; somewhat rough-textured. Hardness: 1820 Janka Hardness Scale, 41% harder than Northern red oak. Durability: Combination of strength, hardness, toughness and stiffness not found in other commercial wood. 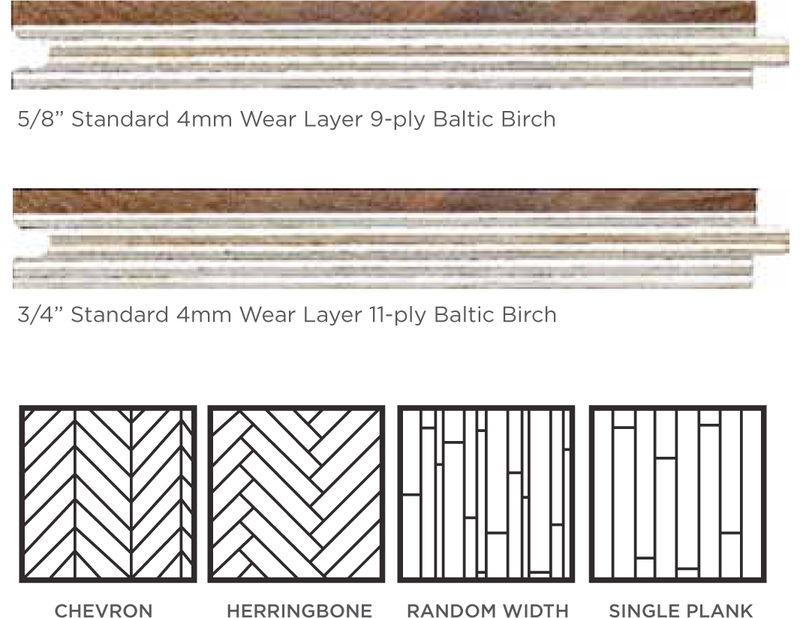 Widths: Available in solid planks 2 ¼ to11. Weight: 3.17 lbs per sq.ft. Character Grade ﬂooring with a long average length. All character and imperfections are permitted. This ﬂooring will have extensive color variation. Pencil width knots are allowed to go all the way through the board. Average board length is 42”. Lengths: Standard 2’-10’ Special order: 3’ or longer, 5’ or longer. Note: Can be ordered up to 12’ on as needed basis. Custom order.